Gravity has a long standing relationship with the Radisson Blu Group of hotels. 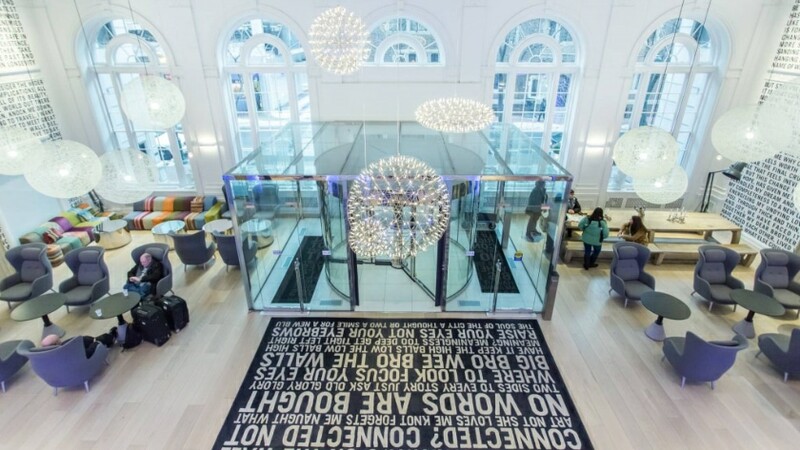 The latest addition to our portfolio consists of a large custom made rug, designed to complement the artistic backdrop of black and white text on the walls, and which leaves a striking impression upon guests when entering the grand lobby. The rug gets a special mention in an article by Vicky Karantzavelou of the Travel Daily News.